If you are accused of committing a theft crime, the most crucial issue to resolve right now is choosing the right Santa Rosa criminal lawyer to defend you. We have garnered a reputation for our success at trial. Are you facing criminal charges for a theft crime in the North Bay area? 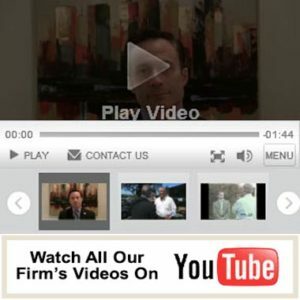 Connect with the firm immediately for representation. You can find out more about theft crime offenses by reading the pages listed below. Charges of burglary are filed against any person who has entered a structure with the intent to steal any item. Charges of aggravated burglary are filed if the accused is alleged to have been possession of a deadly weapon, or is accused of inflicting or attempting to inflict physical harm upon any person present, or there is a threat of force. The crime of robbery involves stealing property from another person by force. When a weapon has been used or is present on the offender, the charges filed and the penalties imposed in a conviction will be far more serious, including 3 – 10 years in state prison and fines as high as $10,000. A charge of shoplifting will be filed as a misdemeanor or a felony, based upon the value of the goods that were stolen, and whether it is believed that the accused was part of a large-scale operation, has a prior conviction, and other factors. Get aggressive defense from Michael A. Fiumara! Our founder, Michael A. Fiumara has received many acknowledgements from various organizations, including the National Trial Lawyers Association, and the California Association of Criminal Defense Lawyers. The entire legal team is known throughout the state and recognized for achieving notable victories in a range of criminal cases, including those involving various types of theft. Are you accused of shoplifting, and facing misdemeanor or felony charges? Contact us to discuss your case. Our early involvement could be critical to the outcome of your case.